INFOS - Who are we ? 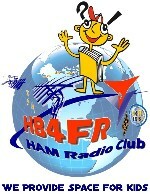 HB4FR is an Amateur Radio Club, which is directly linked to the Museum of military aviation “Clin d'Ailes” in Payerne, French speaking part of Switzerland. The club displays interesting Swiss military aviation radio communication equipment, amateur radio equipment, and also runs an amateur radio station. 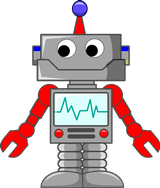 Our objective is to interest young people, but also a wider public in radio technology, and technology and science in general. We provide the secondary schools (colleges) with the necessary technical infrastructure to prepare students to take part in the ARISS (Amateur Radio on International Space Station) program. This entails students preparing themselves in various scientific branches such as math’s, physics, geography etc, as well as languages, for a radio connection with an amateur radio licensed astronaut on board the ISS (International Space Station). Using up-to-date radio amateur techniques, we let the general public taking part through medias such as the Internet, radio, TV and the press. With primary schools in the area of Payerne we organize every year in the museum a so-called "Space Day ", as part of the international "World Space Week". The children deal with various issues of the keywords "Space" and "The Universe" and present their work statically and interactively to parents, guests and visitors to the museum "Clin d'Ailes". The children particularly love the "Space Lesson" given by our honorary member and astronaut Claude Nicollier (HB9CN) during his "debriefing"
If short-wave radio propagation allows, the "Space Day" ends with a radio contact with a French-speaking radio amateur from another continent. The children develop a catalog of questions that they will put to their correspondent. Bingo ! Electronics for Kids. During weekends with special activities in the Clin d'Ailes Museum, we offer children various activities to discover radio and electronics.